Artemisia | Infonet Biovision Home. Geographical Distribution of Artemisia in Africa. Source Ecoport. Updated on 26th March 2019. 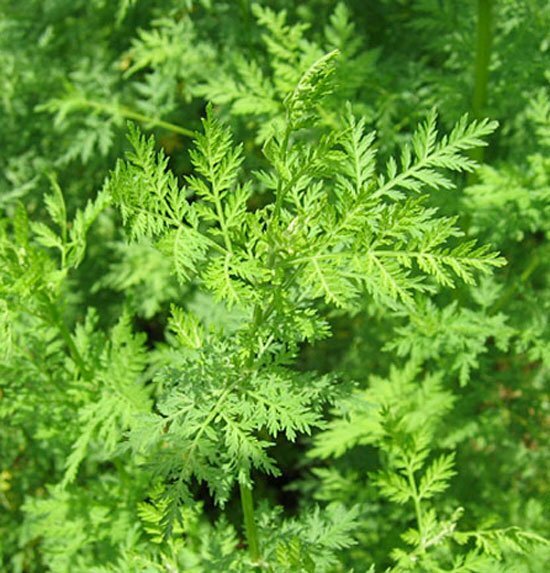 Artemisia annua is a crop for the production of anti-malarial and possibly antibacterial agents and natural pesticides. It was originally collected by the Chinese as a herbal medicine and is currently processed by pharmaceutical firms for the production of artemisinin for Artemisinin-based Combination Therapies (ACTs) in the treatment of malaria. (EcoPort). ACTs have been shown to have rapid resolution to fever and parasitaemia; low toxicity and are well tolerated. The artemisinin compounds are effective against Plasmodium falciparum and P. vivax, including multi-drug-resistant strains. Artemisia is native to Asia, the centre of origin is most probably China. Wild populations occur both in China and Vietnam. It has become naturalised in many countries and is widely dispersed throughout the temperate regions of the world. In Africa, Artemisia has been introduced for cultivation to Cameroon, Ethiopia, Kenya, Mozambique, Tanzania, Uganda and Zambia - all in high-altitude regions and/or regions with a pronounced cool period. Artemisia annua is a fast-growing annual plant. It prefers a sunny condition but it can also grow under light shade. It prefers light to medium textured soils (sandy and loamy soils). It requires well drained or dry soils and thrives in fertile soils but will grow in nutritionally poor soils. (Plants for a Future, 2000). Plants are more aromatic when grown in a poor dry soil. Often found on low and alluvial ground and on mudflats. The plants are longer lived, more hardy and more aromatic when they are grown in a poor dry soil (Genders, 1994). Artemisia is useful for filling gaps at the back of a border. It has become a weed of waste places in many areas of the world. Prepare your land well before transplanting the seedlings. Well prepared land leads to uniform growth. Poor land preparation and lack of care leads to poor production. Artemisia has been grown successfully under minimal till systems, the aim of which is to conserve soil moisture. Some soils of Kenya are known to have a natural hard pan or a compaction pan that has been created by earlier cultivation practices. If these occur, it is advisable to deep rip the soil to ensure good root penetration and water percolation through the soil profile. A deep rip is better than a shallow rip to allow maximum penetration. The seedlings can then be planted by hand along the rip line, into prepared soil. In some soils, when a very deep rip is made, it may be necessary to lightly roll the land afterwards in order to close the rip slightly, to reduce the risk of the seedling drowning in a heavy rainstorm. Start soil preparations well before the rain season to ensure that the soil is not cultivated when too wet as this will lead to loss of soil structure and compaction resulting in poor plant performance. Early preparation will also assist in weed control that is an extremely important factor in growing Artemisia successfully as weeds will germinate in between first and second cultivations. By destroying weeds with the second cultivation (ploughing or ridging) it will reduce the amount of time required for hand weeding. If organic matter such as well rotted animal manure can be added to the soil it will materially assist in improving the structure, giving better aeration, greater root penetration and water percolation and greater efficiency in utilising irrigation water. The addition of up to 20 tons per hectare of composted or well rotted manure is highly recommended both as a short term crop stimulant as well as a long term measure to improve soil fertility. Growing Artemisia annua anamed plants from the tiny seeds is difficult. 1 gram of seed contains an estimated 12,000 seeds. Vegetative propagation is therefore favoured as multiplying the plant from cuttings is easy, takes less time and maintains the genetic qualities of the plant (World Agroforestry Centre). To obtain an "A-3" starter kit, please see on www.anamed.net for further information. The time of establishment will be related to the availability of irrigation water/rainfall, temperature and day length and to the desired period during of harvest. These factors will vary from region to region but the timing should allow for a seed germination time of about 4 weeks, a further period of about 5 weeks before transplanting and about another 12 weeks to reach maximum dry leaf weight and artemisinin content. Rain-fed crops should be drilled 3 weeks before the onset of the rainy season. For example in Kenya, should rains be expected mid-April, then sowing should be done in the last week of February. Water stress as well as low temperatures will accelerate flowering. In Kenya, direct drilling is not used due to the tiny seed (1000 seed weight = 0.03 g) and the need for a vigorous seedling, (stress will induce early flowering). The nursery must be sited in a different position every year, to prevent build-up of soil-borne pests and diseases, and to prevent nutrient depletion. Soil fumigation may be necessary prior to planting. Ideally, soil pH should be between 5.5 and 6.5 - the pH should be determined by soil analysis and any lime requirement (in case of acidic soil) should be applied at least 2 months prior to sowing. The site chosen should either be partially shaded, or out of direct sunlight. Nursery areas should be prepared well in advance of sowing. Weed control around the site to a distance of 10 metres is advisable and the site should be fenced to prevent access by unauthorised persons or animals. (EABL 2005). The area should be cultivated as early as possible, to a depth of 35-40 cm, and raked to a fine tilth, and any weed roots removed. The use of a jembe handle can be helpful in breaking soil clods to the required tilth. A suggested bed size is 1.5 m wide and 20 m long, raised 20 cm high. Prior to sowing, the beds should be thoroughly irrigated, to allow residual weed seeds to germinate. Proper preparation for weed control in the seedbed is essential- as Artemisia seeds are so small, it can be difficult to identify weed seedlings from Artemisia seedlings at an early stage. (EABL, 2005). Irrigate the field before sowing. There are several suggested methods of sowing. 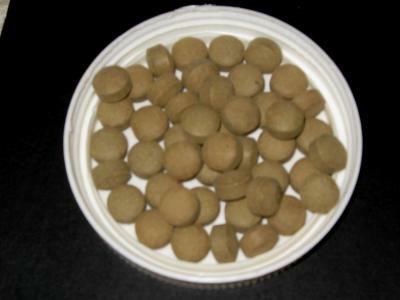 Pelleted seed can be mixed with fine grade sand, which is then sprinkled lightly over the surface of the bed, at the rate of about 1 gm seed per m2. The aim should be to produce 500 healthy seedlings per m2. EABL recommends that growers estimate an establishment rate of 50%. Thus 1000 seeds should be sown per per m2. These can then be thinned out to the correct density. Note that 1 gram of raw seed is sufficient to sow 13 square metres. Artemisia requires light and uniformly high levels of moisture, at temperatures of 18-20degC for germination. It is essential that the seeds are not covered with soil after sowing - this is one of the main reasons for failures in the nursery. The plantlets will emerge in 6 or 7 days and as they appear, the cover can be removed, and the plantlets kept moist with regular applications of fine-droplet water from a can or preferably a mist-sprinkler. If no shade is used it is essential that the seedbed be irrigated lightly but frequent. It is recommended to transplant seedlings that have been raised either in trays or in seedbeds and that have produced vigorous, upright plants for transplanting. The ideal transplanting size is 12 cm tall, with well-developed roots. To be able to lift the plants successfully, the beds should be well watered the evening before transplanting. This watering must be very thorough and the beds should not be able to absorb any more water, with the soil being wet to at least 50 cm deep. This will ensure that the soil in the immediate root zone contains adequate moisture during transplant. The next morning, to lift the plants, use a fork or a shovel and gently raise the soil being careful not to damage the plant roots. It is important to have as many roots as possible to support the plant after it is put in the field and the seedlings should be "teased" from the soil to prevent damage. Only lift as many seedlings as you can plant in an hour. The soil around the plant roots must be pressed firmly into contact with the plant - this will prevent the plant from wilting too much and increase the rate at which it recovers from the shock of transplanting. There are a number of trials that have been conducted in Kenya to determine the best plant number per hectare. Based on several years experience, (using vigorous seedlings) the current recommendation is to plant at a spacing of 1.0 m between plants and 1.0 m along the row. This will give a plant population of 10,000 per hectare. Measure the distance between plants, do not guess. If there is just 5 cm too much between plants it will reduce the plant numbers by almost 500 per hectare and production will be correspondingly lower. Use a marked measuring stick. (EABL, 2005). Give some water after planting to assist recovery of the seedlings. The plant is able to withstand dry conditions when it is fully established, but stress at early point in its life can induce premature flowering and this is in turn may be reflected in a reduced artemisinin content in the leaf and a lowering of production per hectare resulting in lower returns for the crop. A rain-fed crop requires between 600 and 650 mm of rain during the season, so timely planting is important in all circumstances. The most critical stage of growth for additional water is in the first 12 weeks of the crop life after transplanting. Water requirements vary according to soil type and climate, they should be discussed with the local contractor (in Kenya - EABL) who will advise on the need for water. Harvest timing is critical, as artemisinin content tends to climb steeply during late active growth, then to plateau briefly and finally, to fall off sharply once flowering has initiated, with its corresponding leaf drop. The plant begins to flower from laterals originating at the bottom of the main stem. With the current variety (in ast Africa), when approximately half to 3/4 of the plants show signs of bud initiation, artemisinin content will be at a maximum and the plants will be ready to harvest. (EABL, 2005). The plants are cut and can be left to wilt in the field or hung up to dry in an enclosed space, to prevent post harvest losses. If you dry the plants in the field, they should be stacked, to prevent leaf rotting. Be careful not to dry the leaf to much, or leaves will be lost to the wind. Removal of leaf can be done using a tractor, or by manual beating. The plants should be stacked on plastic to catch the leaves. Artemisia annua can grow almost anywhere in the world, in every kitchen garden, in every field. It is actually only an inconspicuous mugwort plant, and yet the hope for the many millions of people that suffer from malaria. 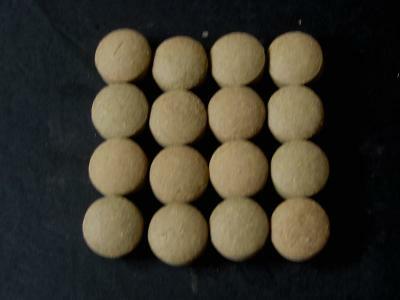 Its inner substance, artemisinin, is highly potent, effective and compatible, according to the international aid organisation "Doctors Without Borders". After the first dose 90% of the agents that cause malaria were destroyed. The simplest way to take advantage of its curing properties is in the form of tea made from the plant. Even on its own it can work miracles with the most serious form of malaria - Malaria tropica. Commercial production of Artemisia in Africa has largely been limited to Kenya and Tanzania. Current demand for artemisinin has led to a significant increase in the commercial production, both in established as well as new areas. Leaf production is very variable depending on climatic conditions and harvesting techniques used. In East Africa yields average 2.5 t/ha. EABL (2005) East African Botanicals Ltd. Growers' Production Manual for Artemisia annua.